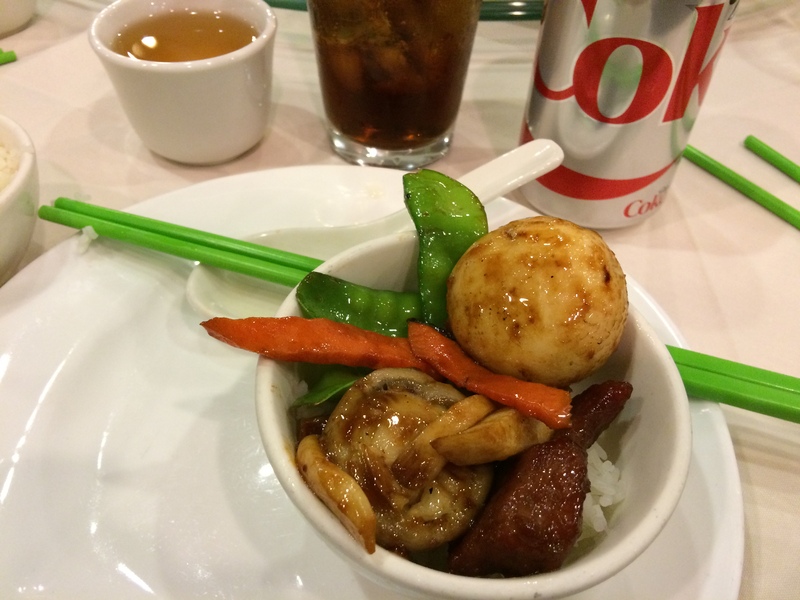 Golden City is the best Chinese restaurant ever, because the food is great, the service is actually good, and the place is clean, bright, cheerful, and quiet. There might be a few other places like this, but I’ve never seen them. So instead of dreading a family outing, I’m actually pretty happy to have dinner there. I only had a 600g loaf of bread today, so I’m pretty hungry. I hammered some hills this morning, fueled by Thanksgiving dinner and pumpkin pie, and I PR’ed the 5th Ave Hill Sprint from Date to Laurel, placing an overall 4th @ 2:00 (out of 2,900 total attempts). I’ve been monitoring my progression on this hill, because on my fixie, my times are a direct function of my weight. I’ll still probably lose another 5-7 kg, so I expect to improve by another 10 seconds or so.